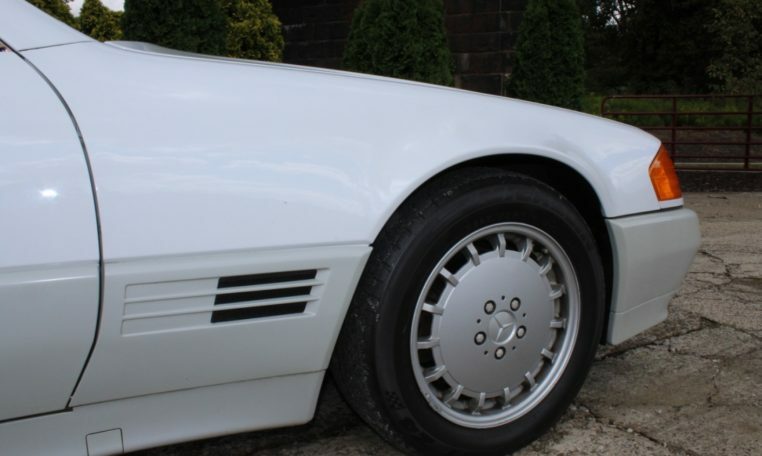 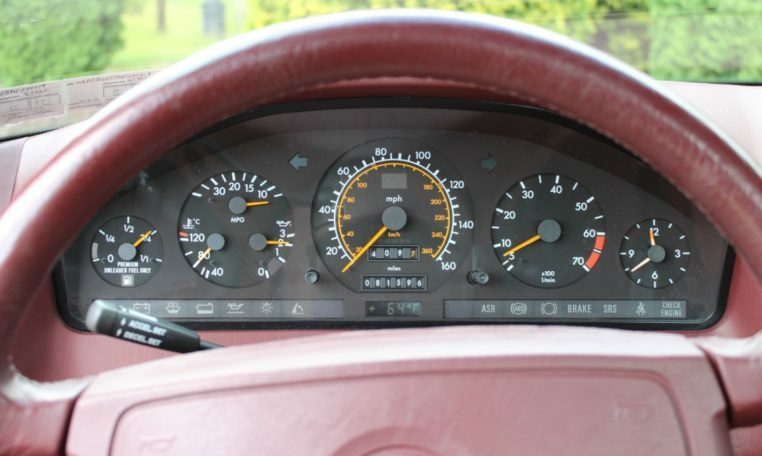 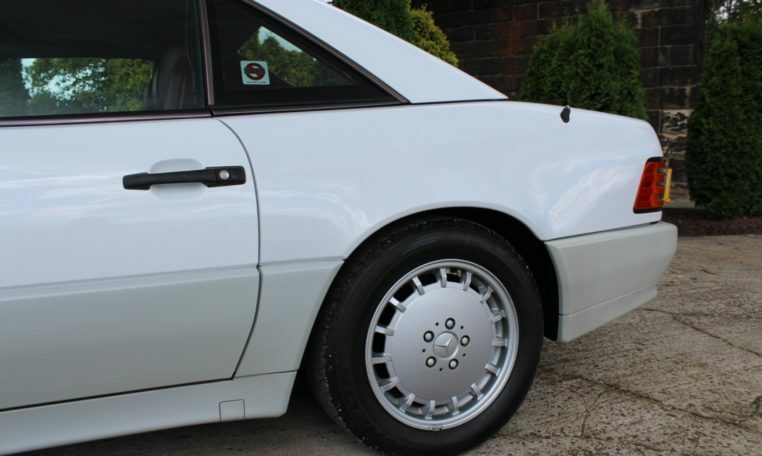 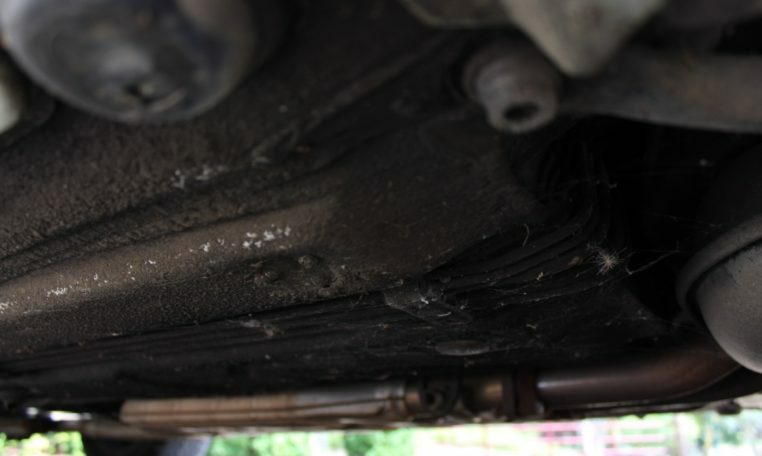 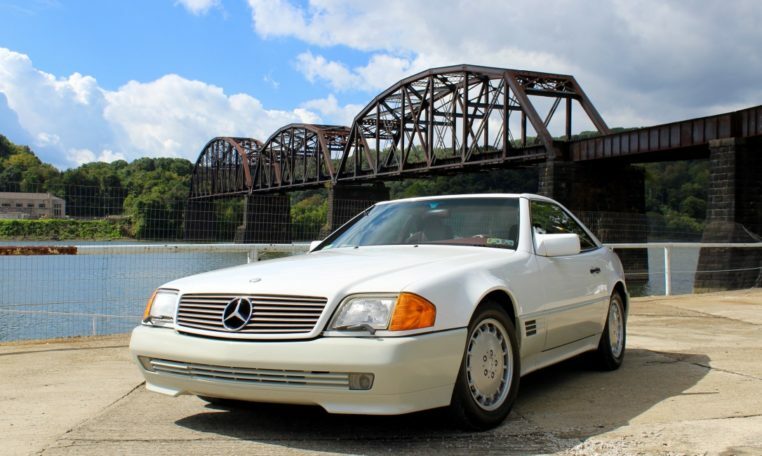 This 1991 Mercedes Benz SL500 is a well maintained one owner vehicle. 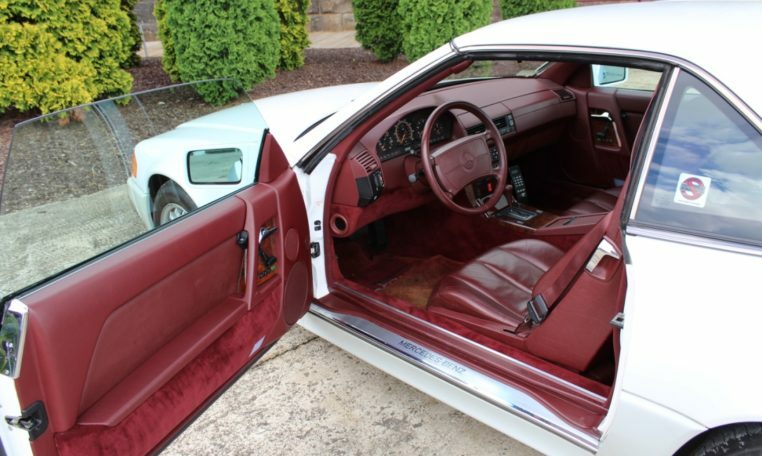 It is garage kept and only driven during summer months. 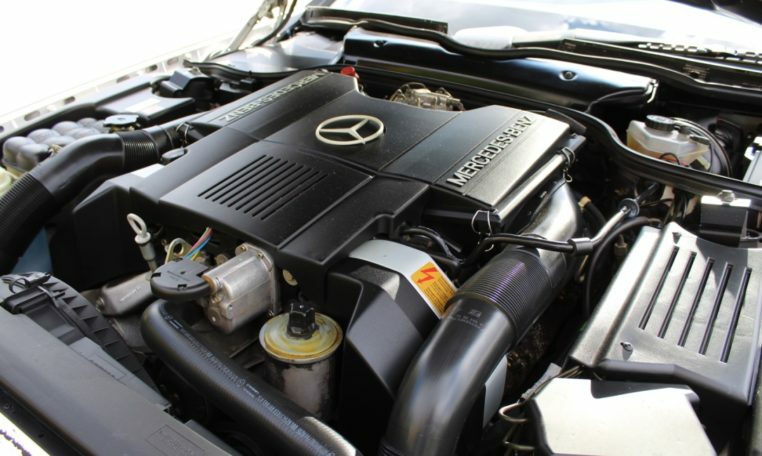 All service was done by Bobby Rahal Automotive. 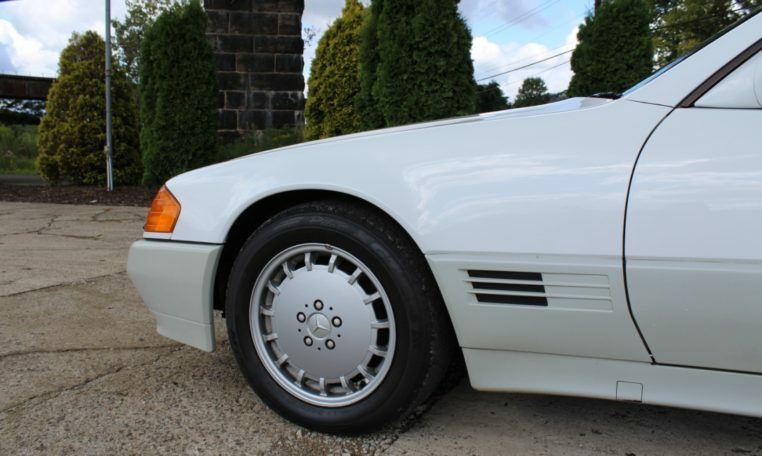 The exterior is two tone Arctic White and beige. 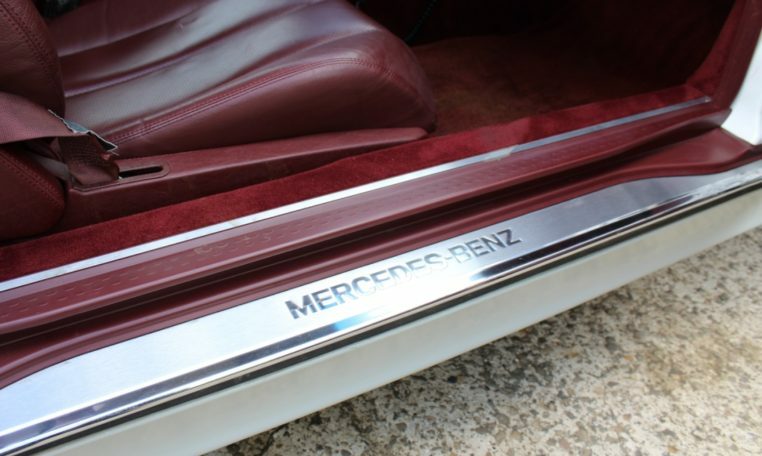 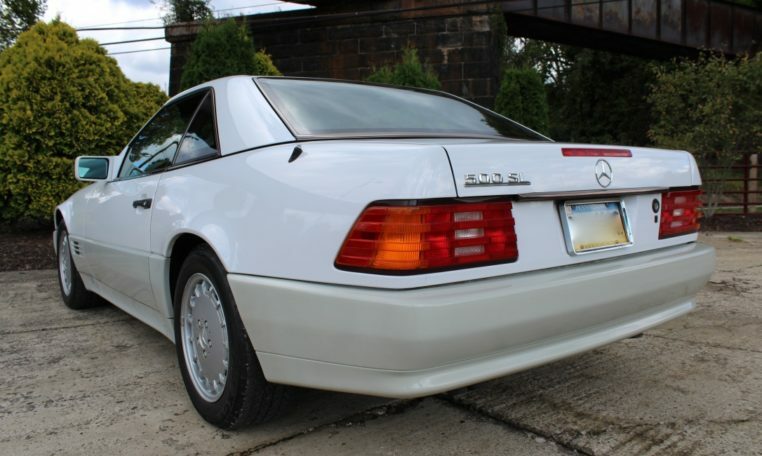 The paint is all original and in excellent condition. 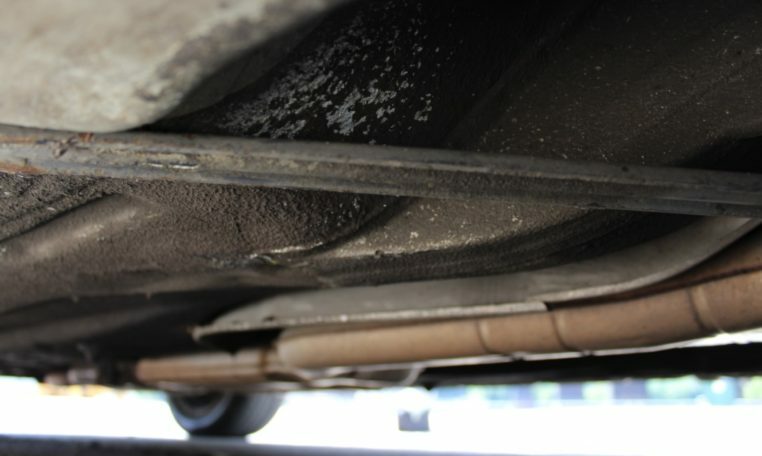 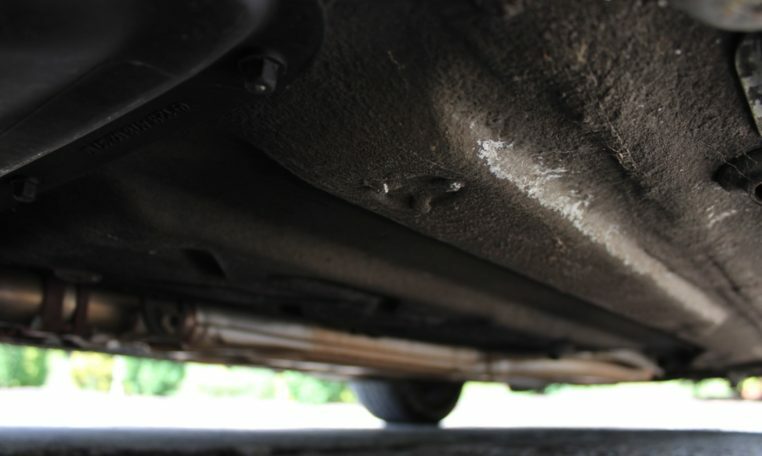 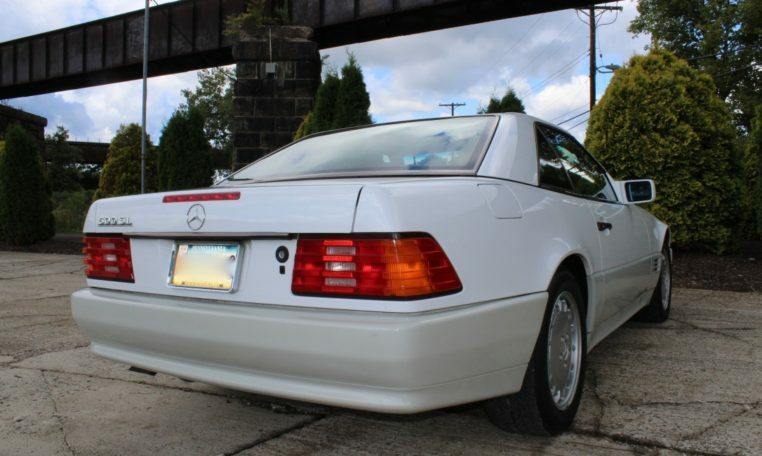 The body is in excellent condition with no corrosion or imperfections. 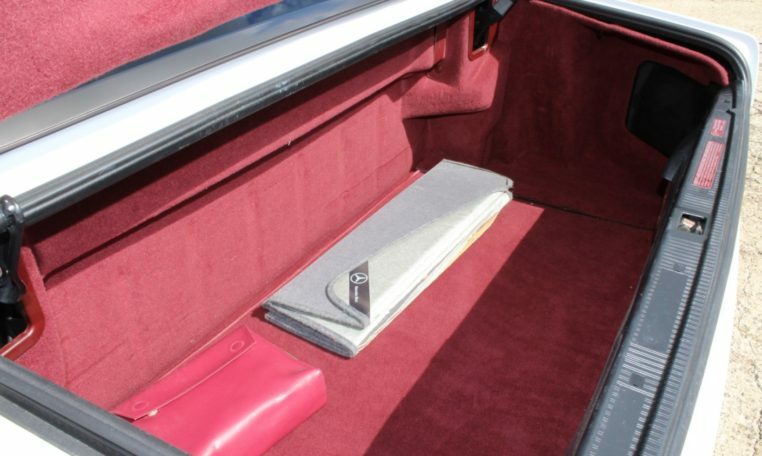 This vehicle comes with only the hardtop and no soft-top. 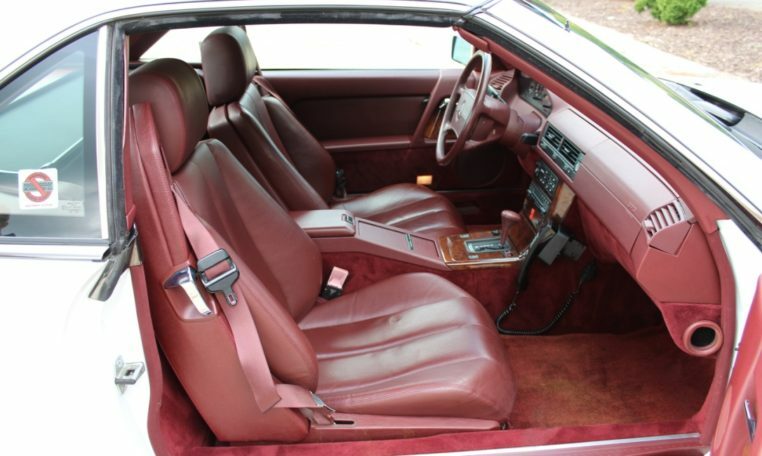 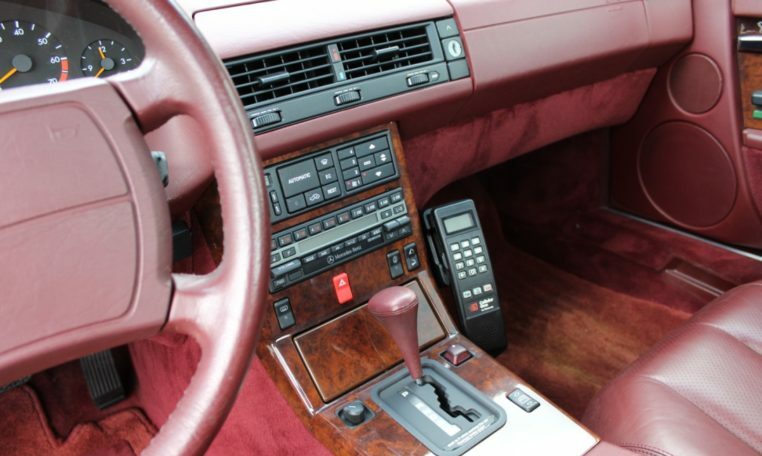 The interior is burgundy colored. 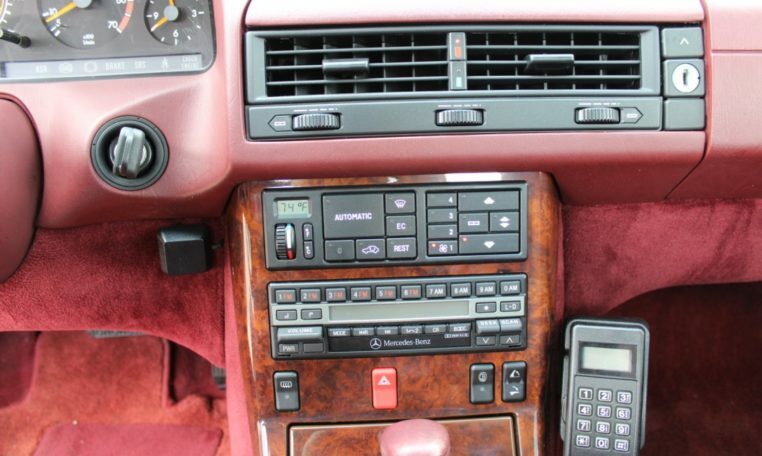 It features the original AM/FM Cassette radio, car phone, cassette deck, automatic climate control, and working air conditioning. 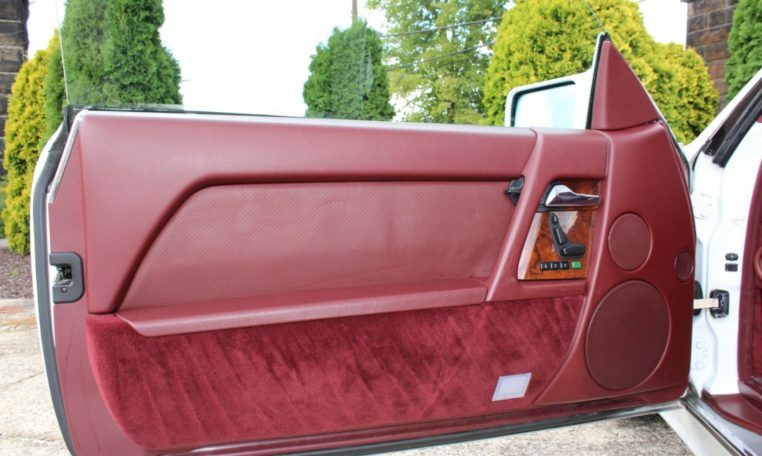 It also has electric windows, mirrors, and seats. 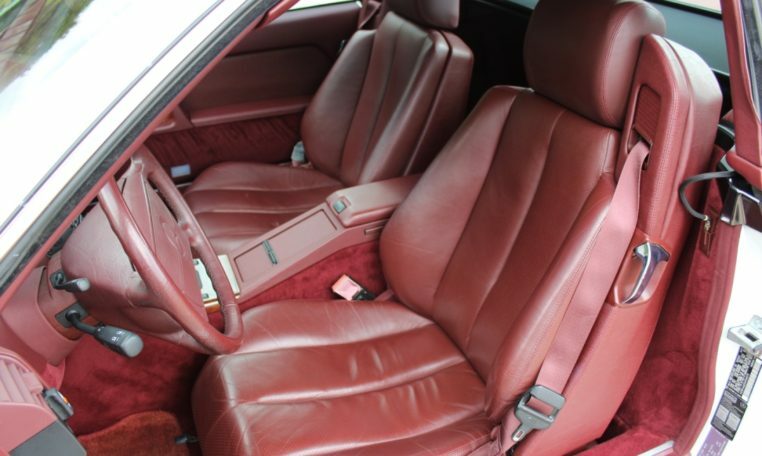 The interior is in excellent condition with the exception of a drooping headliner. 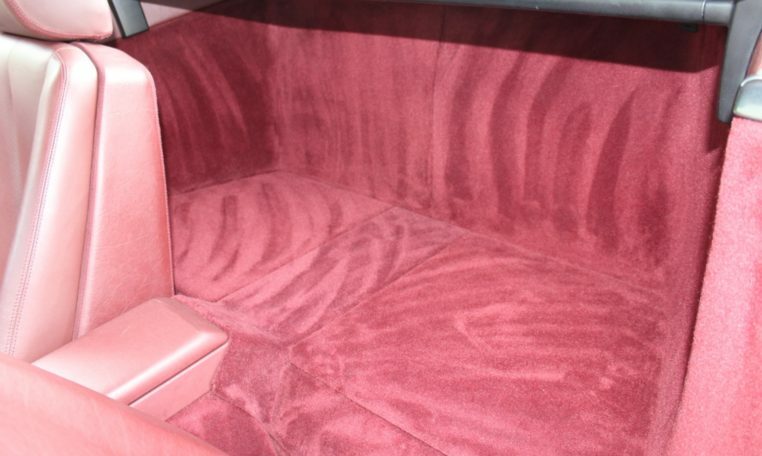 Seats and carpets look almost new. 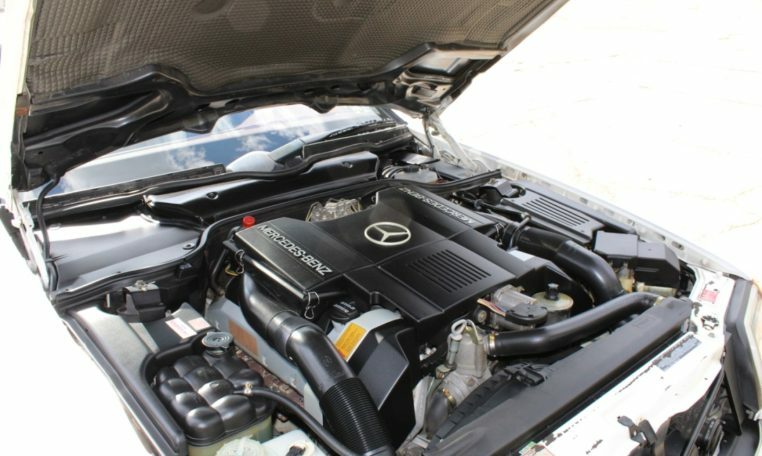 Mechanically, this SL has the 322 HP 5.0 liter V8. 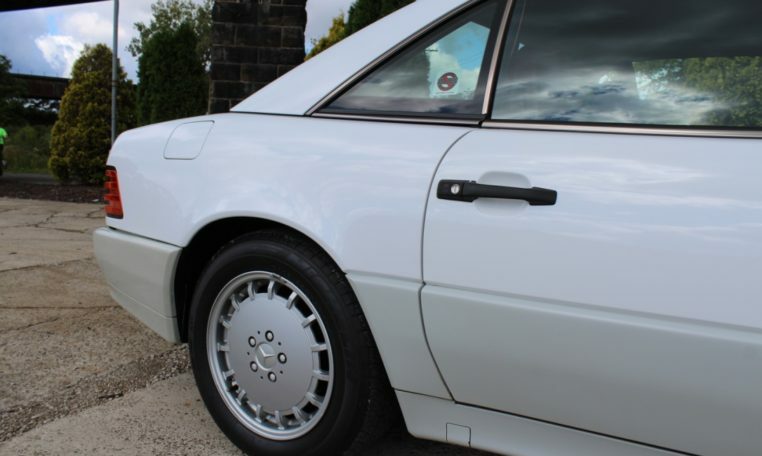 It also features 4 wheel disk brakes with ABS, power steering, and fully independent suspension. 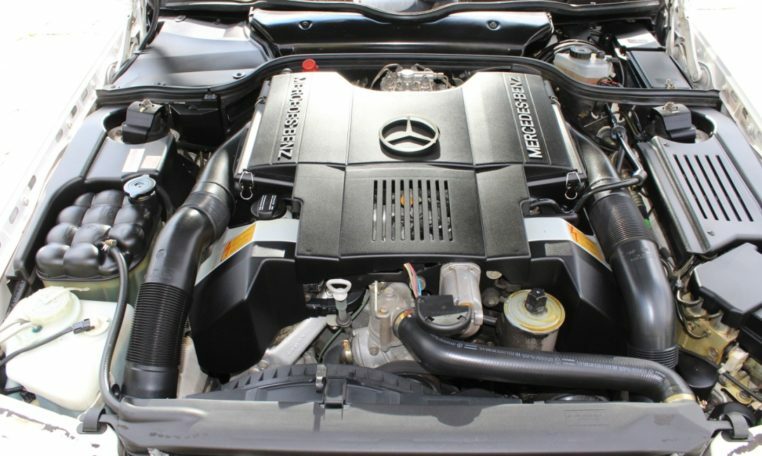 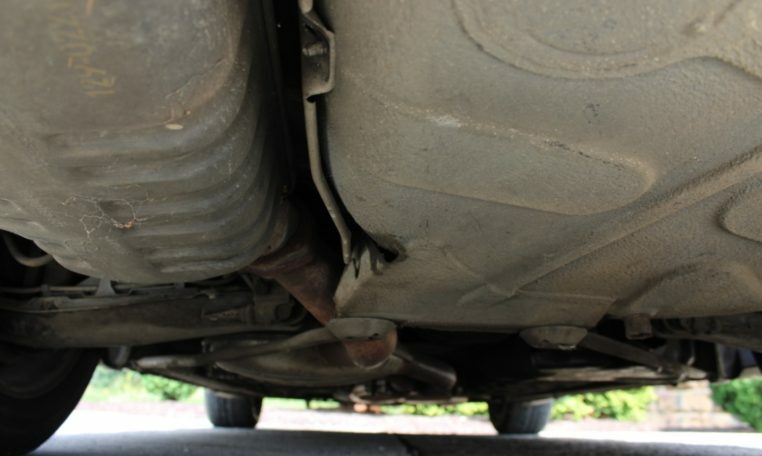 Recent service work includes a new battery, spark plugs, oil change, coolant flush, brake fluid flush, transmission fluid flush, new window motor, MAS module, and recent PA inspection and emissions. 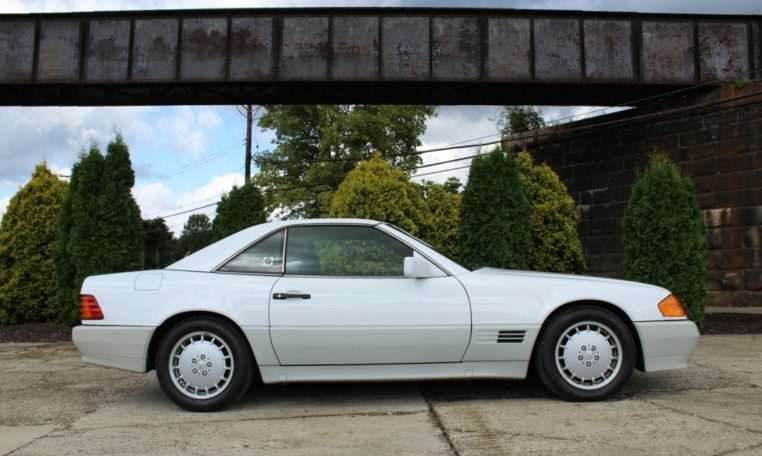 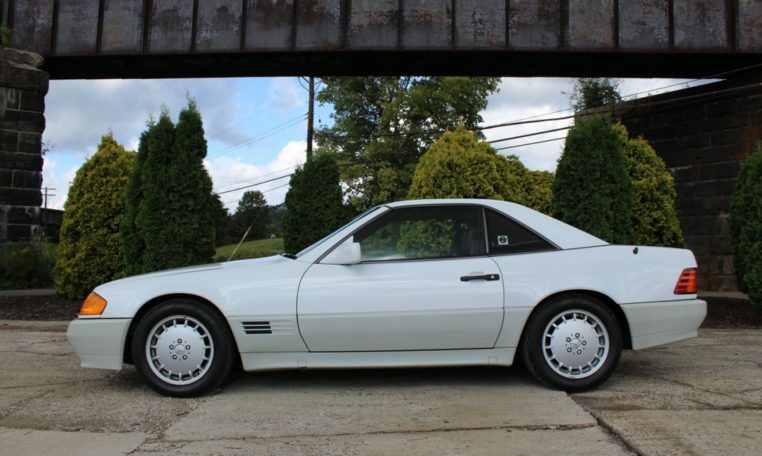 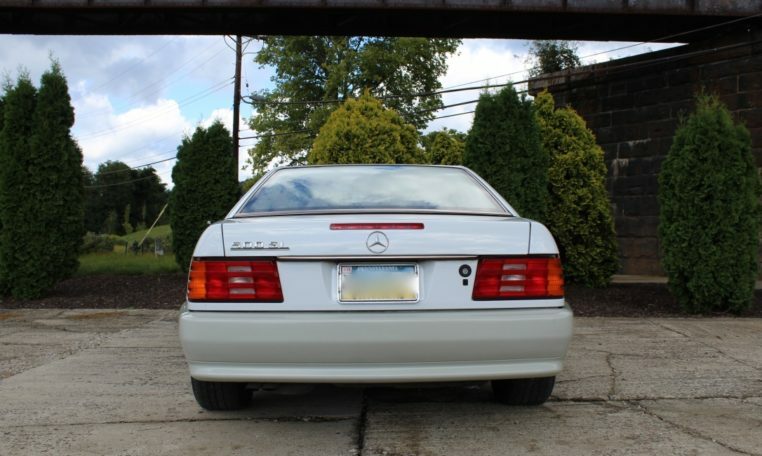 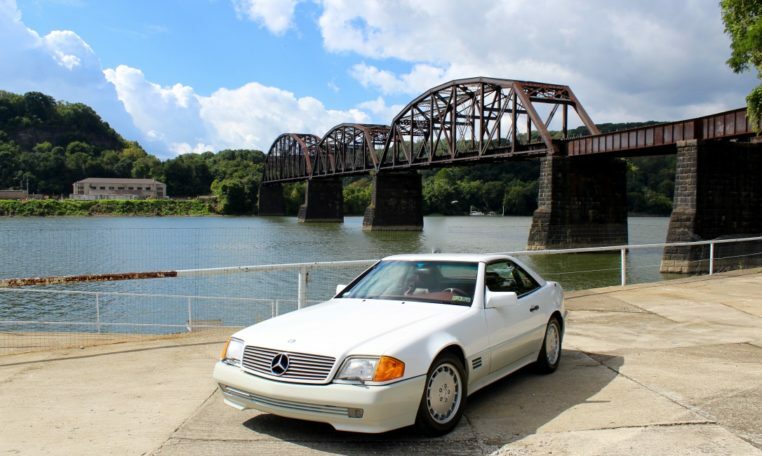 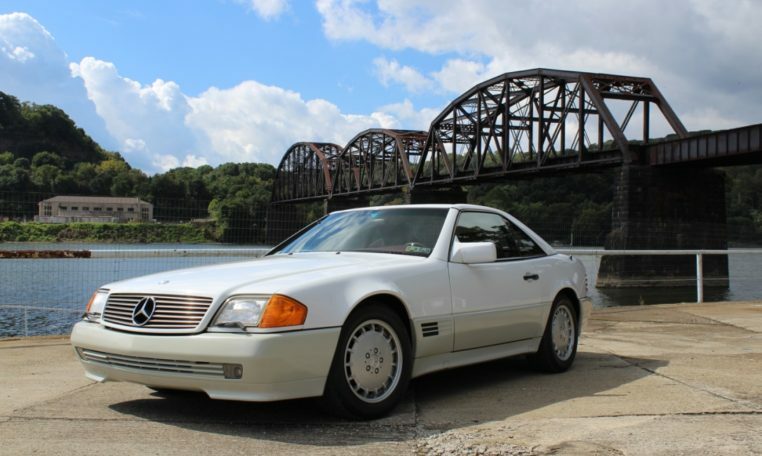 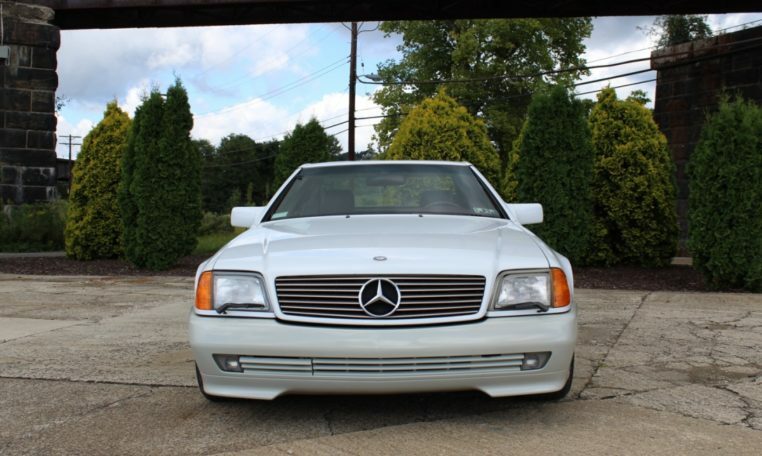 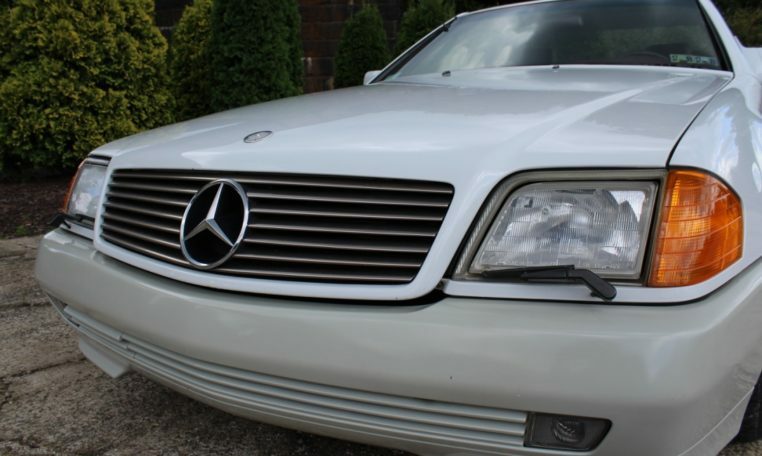 This 1991 SL500 is for sale on consignment and is not owned by Fort Pitt Classic Cars. 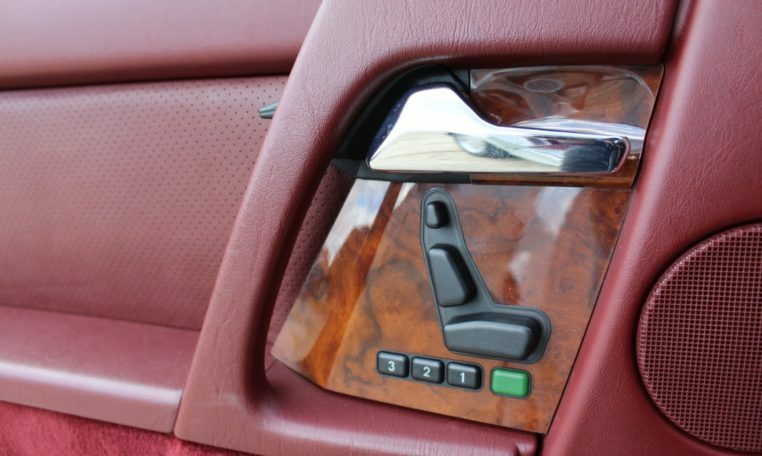 If you would like more information, please contact us.